Home / Home Improvement / How to Remove Boring Stains From Your Carpet? How to Remove Boring Stains From Your Carpet? 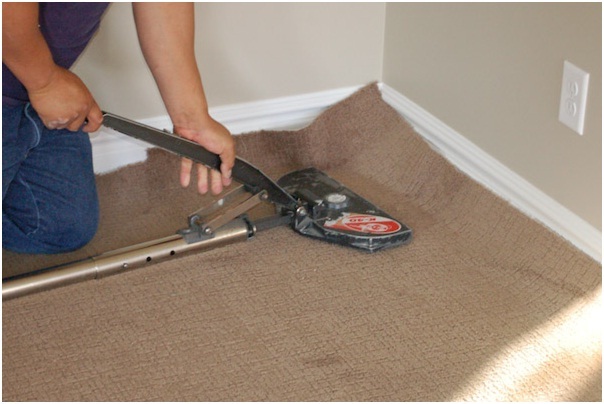 If you are worrying about cleaning some of the most boring stains from your carpet, do not worry because Dr Carpet toronto is here to help you make everything much easier for you. So, keep reading to find out more. Gum on the carpet? Use an ice cube. If there is a chewing gum on the carpet, do not despair, there is a solution to everything. And for this, there is a one very simple solution. However, when the carpet washing does not help, then there is another tactic that needs to be applied. Using a few cubes of ice from the frieze, should be pressed on the gum for about half an hour. Then pick it up using a spoon and the gum should be removed very easily without a problem. Avoid using some strong chemicals because you are increasing the risk of damaging the whole carpet. Persistent stains from grease are the worst and they can simply ruin the perfection of your floor coverings. If there are greasy or oily stains on your carpet washing will be easier if you use a detergent for dishwashing. This detergent is designed to remove grease from dishes and it will have the same effect when you apply it on your carpets. Wax is one of those problems where carpet washing does not help. Remove it by placing a white cloth over it, then cross it with the iron several times until it melts, and then remove it with a knife. After that, remove the cloth and place plain white paper. In this way, the last remnants of wax will stick to the paper and you will be able to completely remove it. Do not keep the iron longer than 30 seconds because you risk burning the carpet. Hydrogen peroxide is extremely successful in removing stains from the blood. First of all, try washing the carpet with a mixture of detergent and water, then pour hydrogen peroxide directly onto the stain. There will be a bubbling process due to a blood reaction, so do not be surprised. Then simply pick up the excess with a clean napkin. In order to wash the carpet only when it is really necessary, make sure you keep your carpet clean regularly. Wash the carpet at least once a week, and clean it with a steam cleaner at least once every six months. That way, the water reaches deep into the carpet fiber and helps to remove deposits of dirt and grease, thus facilitating further carpet maintenance.